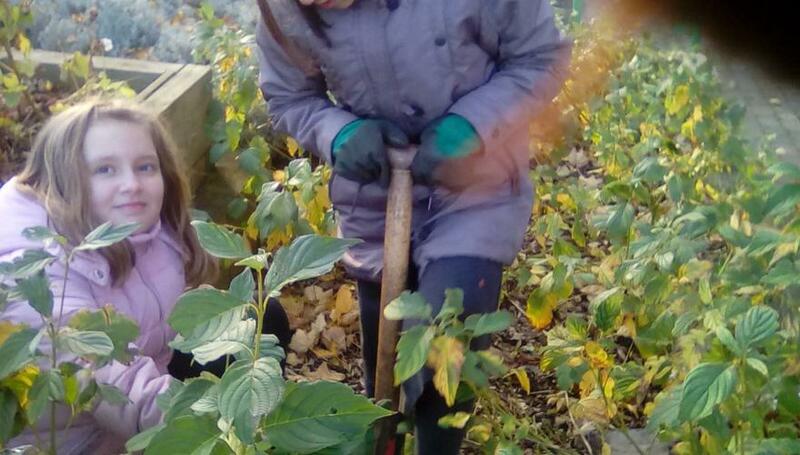 On Wednesday 13th December, all of the children and staff in Year 3 and 4 embarked on an adventure to investigate the world of 'Natural Materials'. The day started with an assembly to launch proceedings and then the children spent the rest of the day taking part in 3 different investigations which included, separating materials, looking at different rock formations through the medium of chocolate, classifying rocks and minerals, finding suitable rocks that would fit the purpose of providing a roof for 'Stig of the Dump', viscosity experiments and dissolving solids with different liquids. The day was full on, with lots and lots of discussion, prediction and fun! What also made this an extra special day, was that parents/carers were invited for the assembly and then also to visit their child's classroom for part of the morning. We had a brilliant turn out and therefore would like to thank each of you who came. 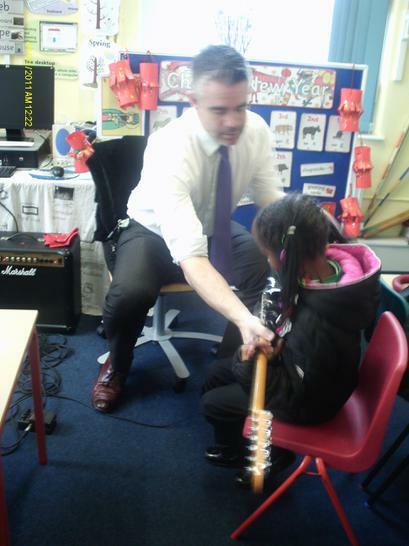 I know the children enjoyed you being a part of the day and it was great to see you all getting involved. Please do come again! A big thank you to all the staff who put a lot of effort in to the day and ensured it was a success on many levels. A extra special thank you goes out to Ms Marks (Science Lead Teacher), who planned and coordinated the day. Below is a short presentation that contains information from each of the classes. 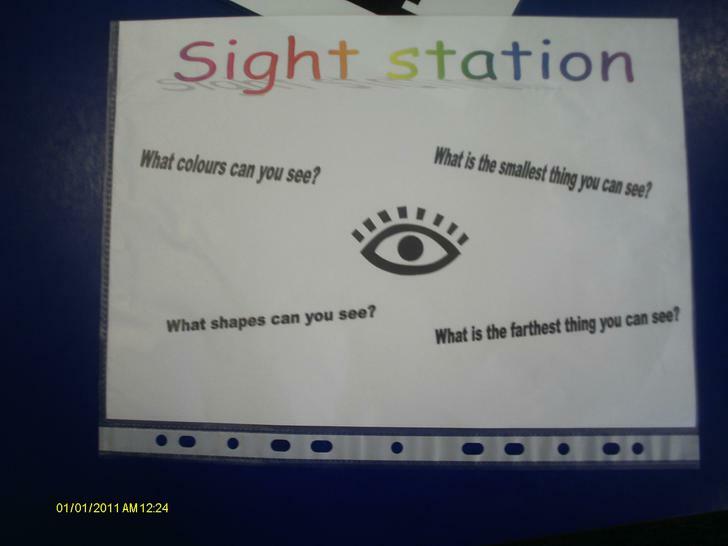 This was presented to Year 5 and 6 to highlight the learning and fun that had taken place. Enjoy! 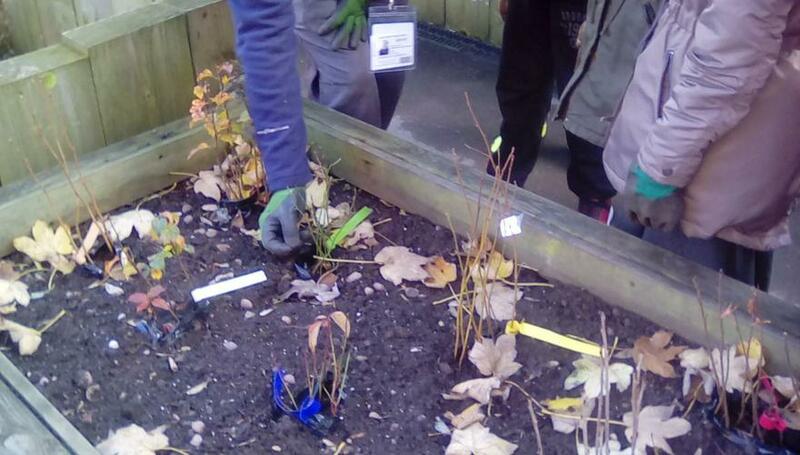 We have received 60 plants from the Woodland Trust to plant a hedge and some groups of trees around the school grounds to encourage wildlife to visit. 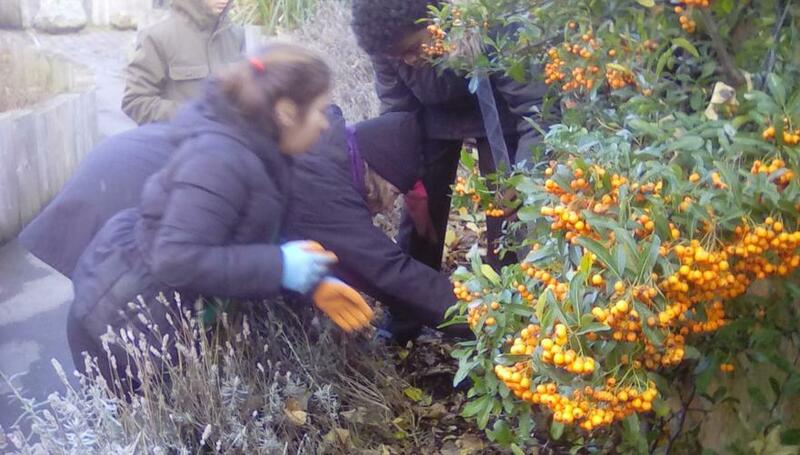 The plants provide areas for animals and birds to shelter as well as berries for food and nectar for insects. 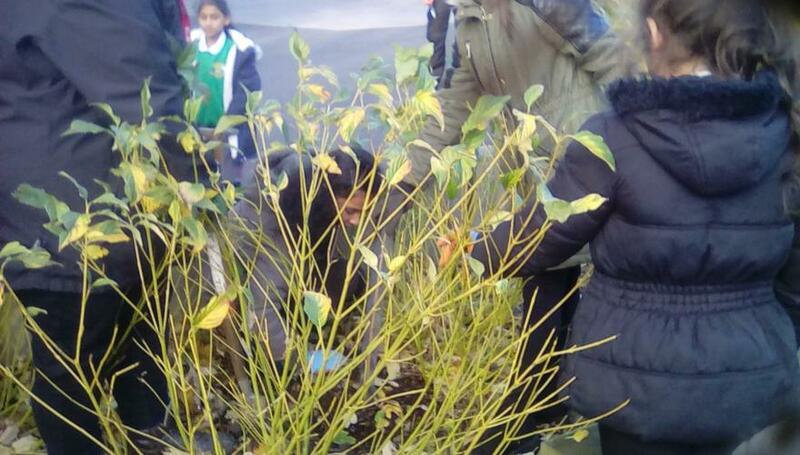 Several of our Year 5 children helped by Andy Hollis and Sam Bird from Sherwood Forest Trust planted almost 50 of the plants around the school on Wednesday 29th December. If you look carefully you may see the plastic tubes that provide protection for the plants until they grow a bit bigger. How many can you spot? 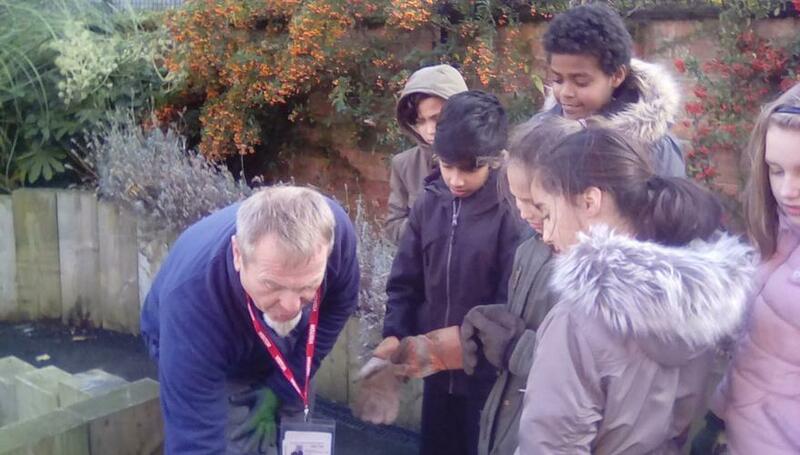 In year 6 this term we had a visit from Eon. 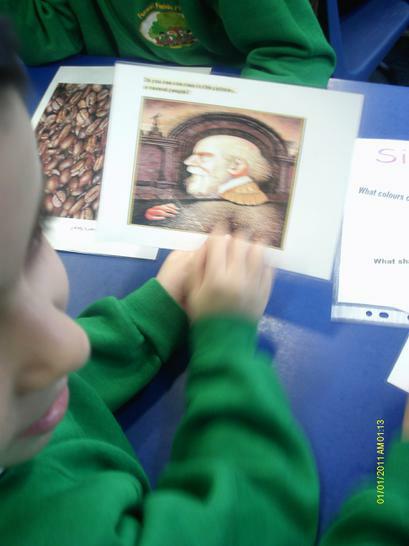 They helped us carry out investigations into Creative Conductors. each group had to design and make a product that involved using conductive materials. Congratulations to all the pupils for their hard work and excellent results. 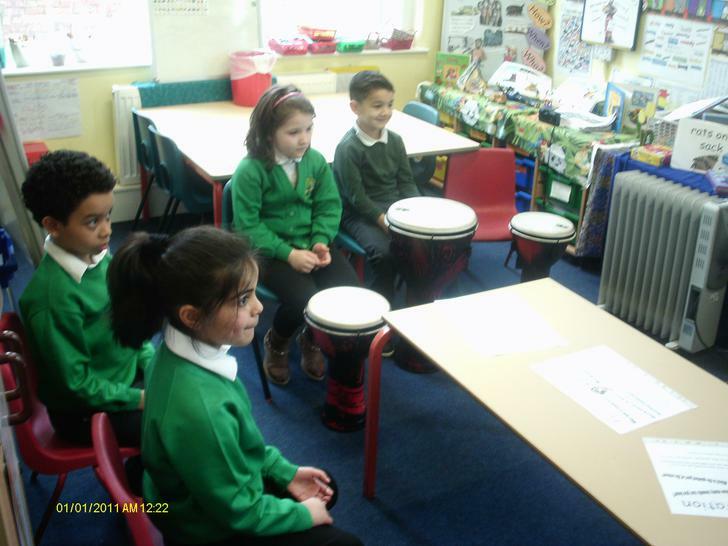 The children in Year 2 had some animal visitors this term. 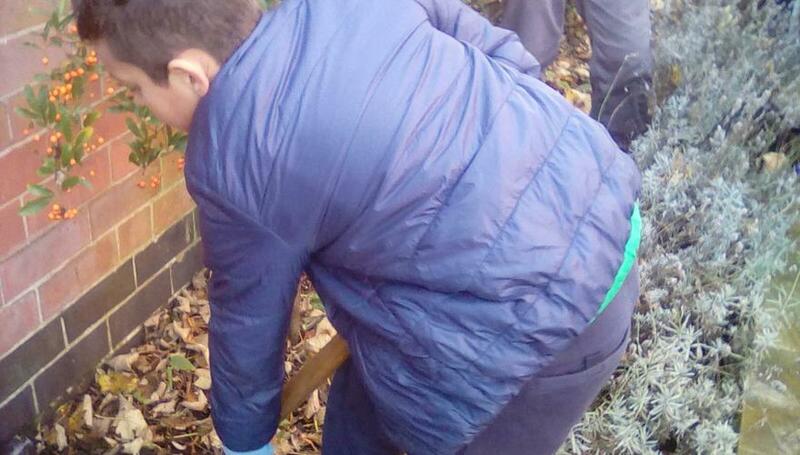 The children handled some of the animals and found out about looking after each one. 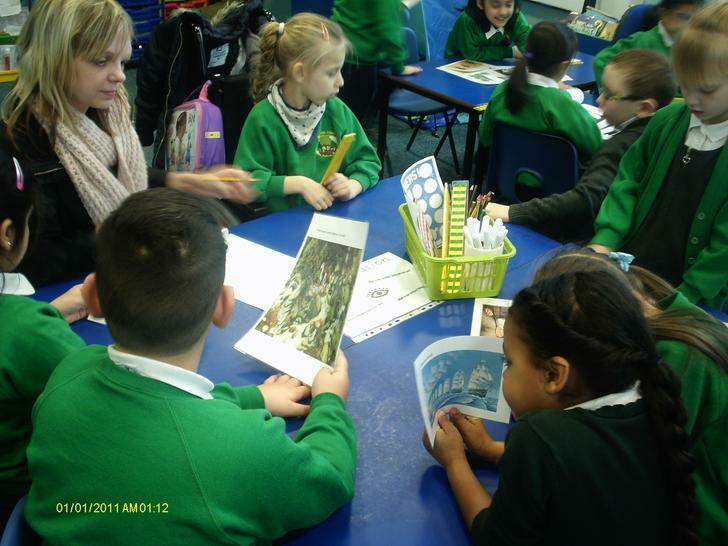 All of Year 3 went to Twycross Zoo to find out about rainforest animals. 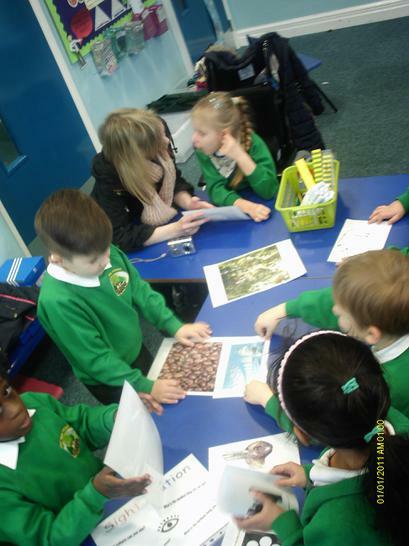 We saw lots of different animals and found information about where they come from. A parakeet flew down and fed from Mrs Lowe's pot. 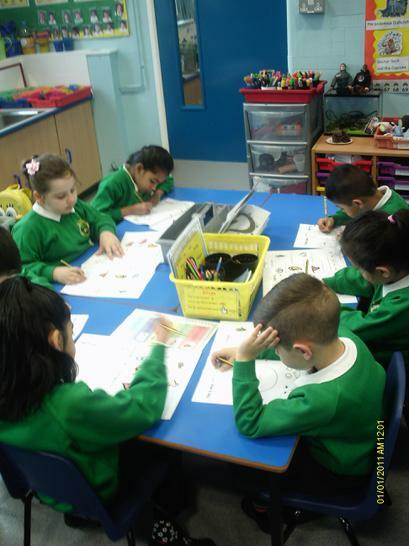 We have been reading about a family of gorillas. This Asian elephant came down to drink. We saw lots of huge butterflies in the hot house. 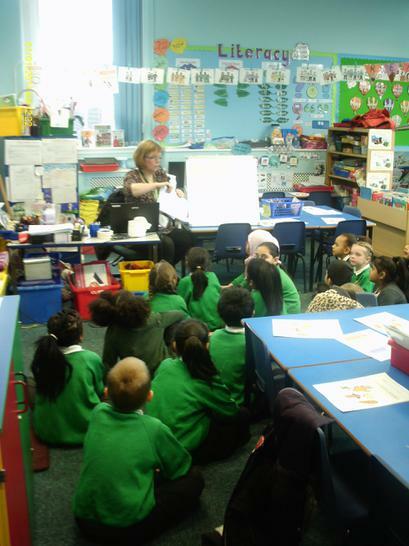 This half term, Year 4 had the chance to take part in the BBC science project 'Terrific Scientific'. 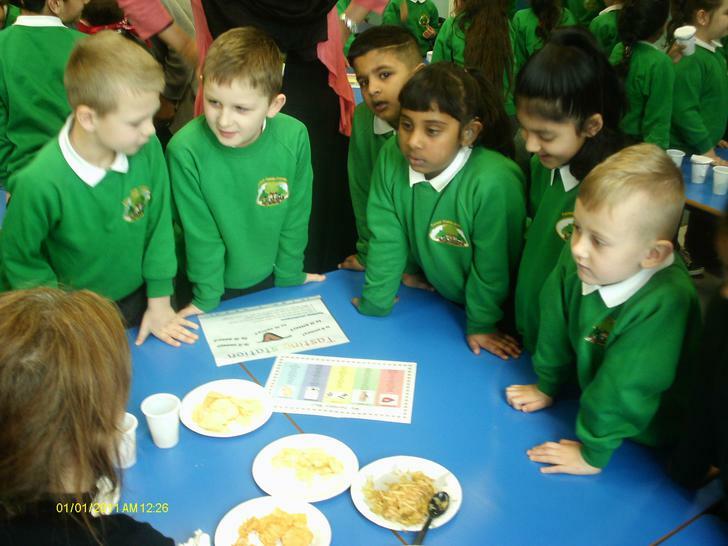 This project is currently investigating how we taste foods and what affects which foods we like and dislike. 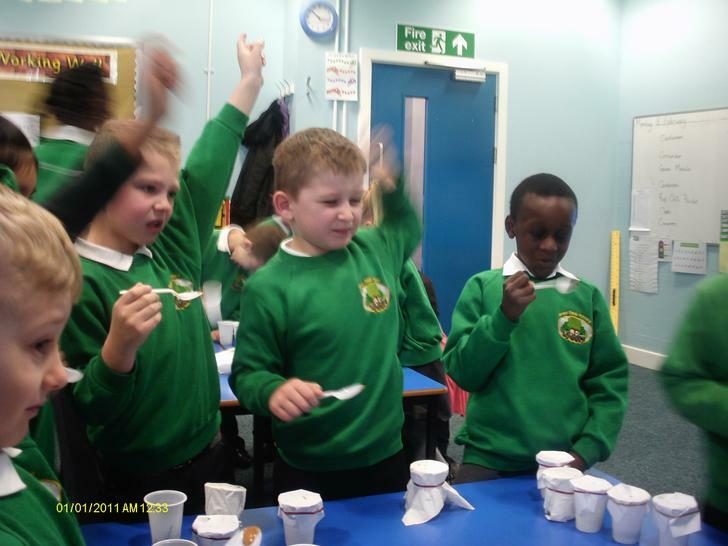 For our investigation, we wanted to find out how many of us were super-tasters, tasters and non tasters. We used blue food colouring to dye the fungiform papillae on our tongues. Counting these helped us to work out the number of taste buds each of us had. 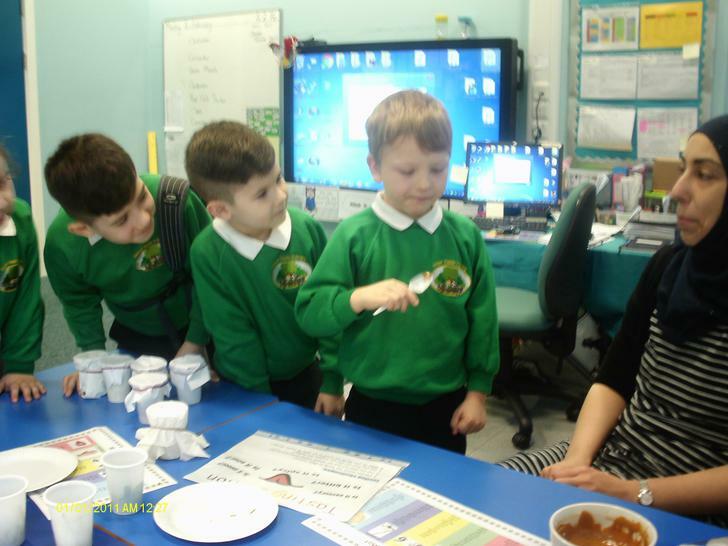 There were lots of tasters and super-tasters in our classes but Miss Radford was a non-taster! Check out the photos below and visit http://www.bbc.co.uk/guides/z9psgdm to find out more about Terrific Scientific! Following on from a visit to the Pupil Parliament, 2 of our Year 6 children, Janaide Baugh and Aisha Rashid, set about planning activities to raise awareness for the above event. 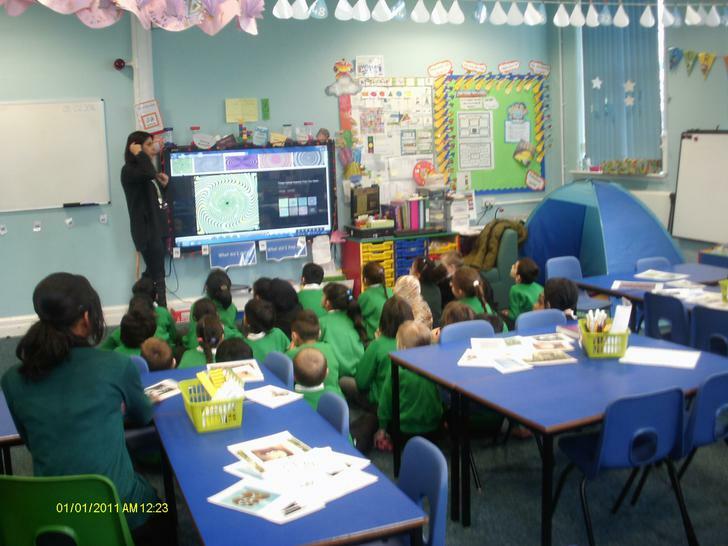 It was launched with an assembly to KS1, whereby they explained what they did at the Pupil Parliament and also highlighted that they would be planning an exciting Science morning for all in Year 2. 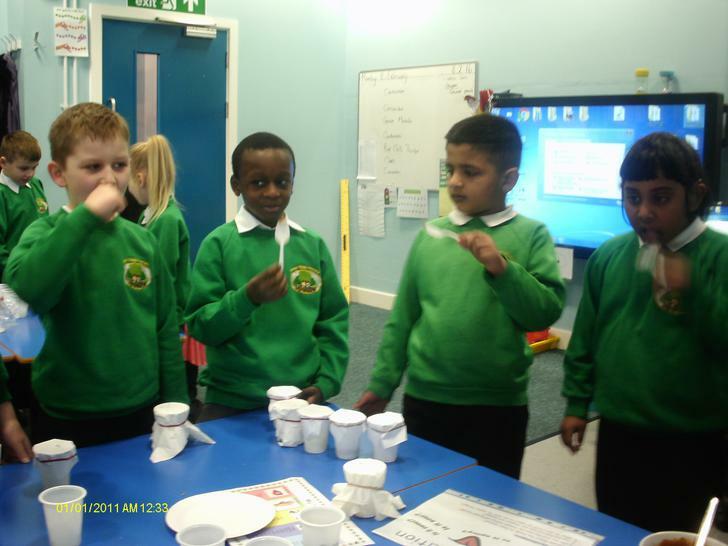 The assembly had an explosive ending as the children made colourful fountains of fizzy pop. 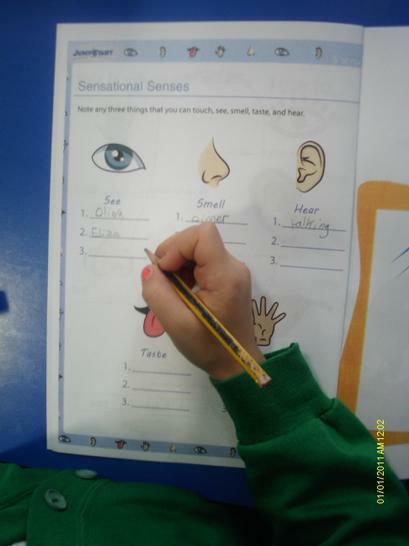 The focus for the Festival of Science and Curiosity was the 5 Senses. Janaide and Aisha met with our Science Lead, Mrs Marks and discussed possibilities for the event. 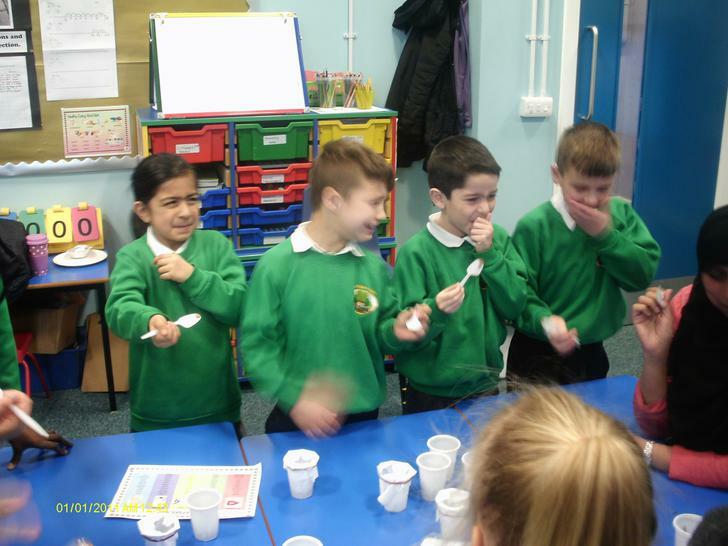 The morning was a super success, with all the Year 2 children participating in activities that focused on all 5 of their senses. 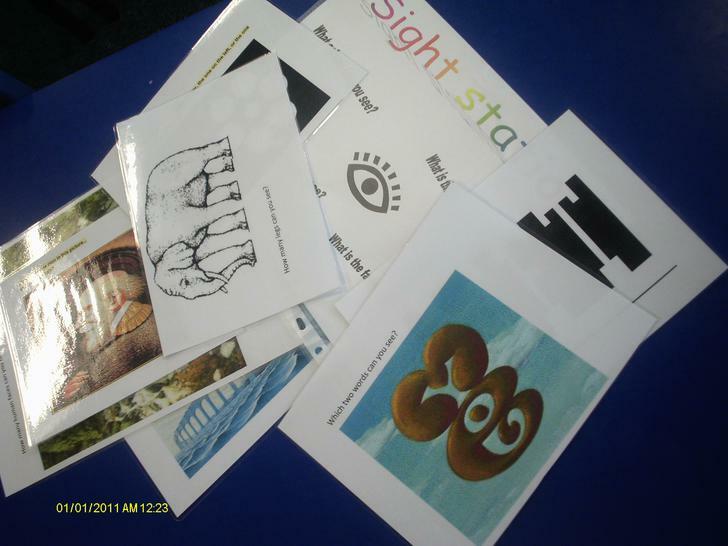 There was optical illusions, blindfold tasting, feely bags, guitar and drum playing, lots of tasting opportunities and booklets for the children to help focus their thoughts and encourage discussion. A big thank you goes out to Janaide and Aisha along with all the Year 2 staff who helped ensure that the morning was a huge success. 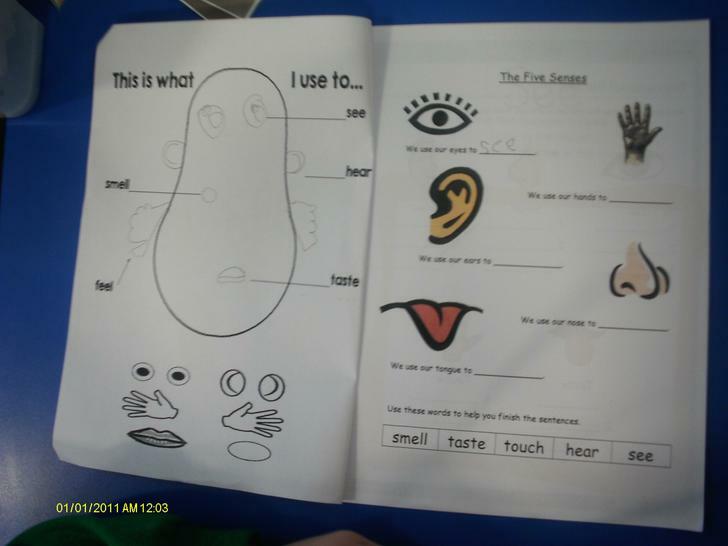 Here you can see all the fantastic things the children at Forest Fields do in their science work. 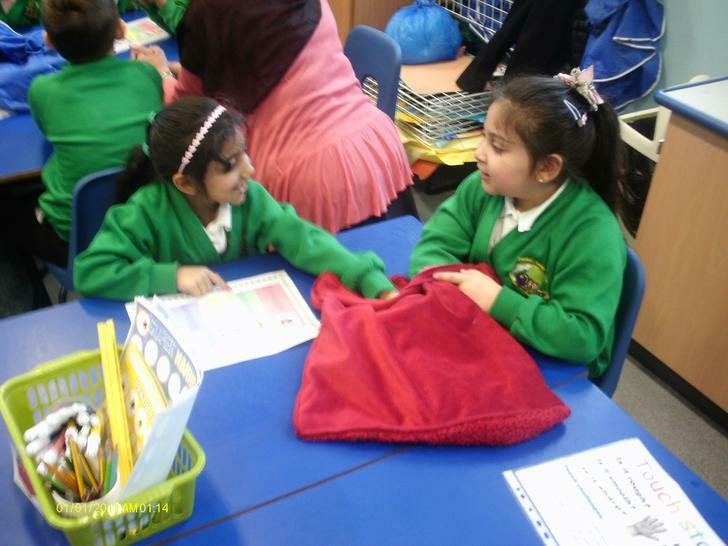 We asked the children what they enjoyed about science and they said they loved doing practical work and solving problems. Here are some of the problems they have been solving. Year 1 had fun finding out which material would keep their teddy dry in the rain. 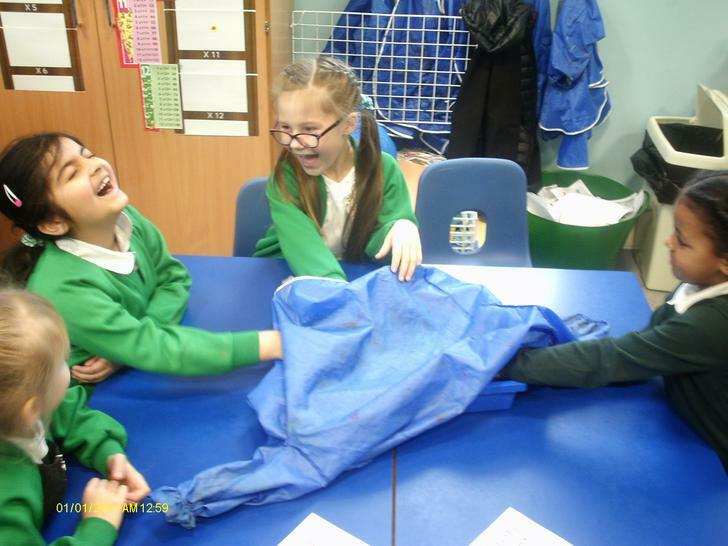 They made a coat using the material they chose and then tested how waterproof it was by pouring water over poor teddy's head! I hope teddy wasn't too soggy. 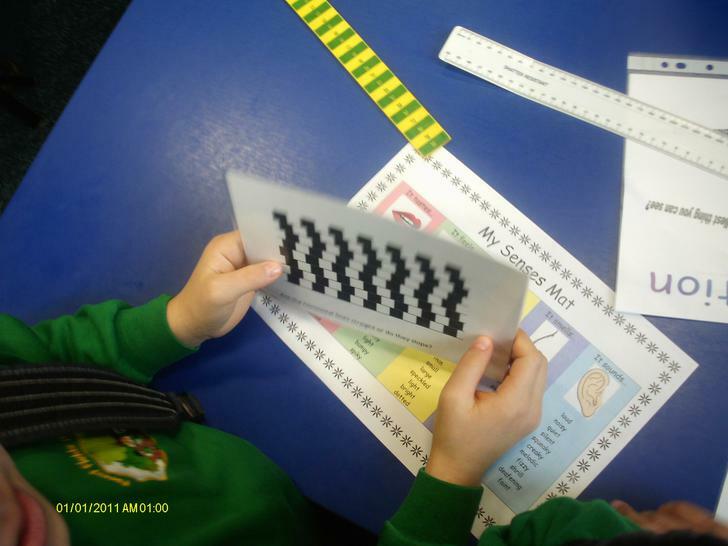 Inyear 5, we were given a real mix-up of things to sort out and separate. We used various techniques depending on the size of particle and the material used. Which materials can I pick up with the magnet? What will be separated bythis sieve? What if I try the mesh? 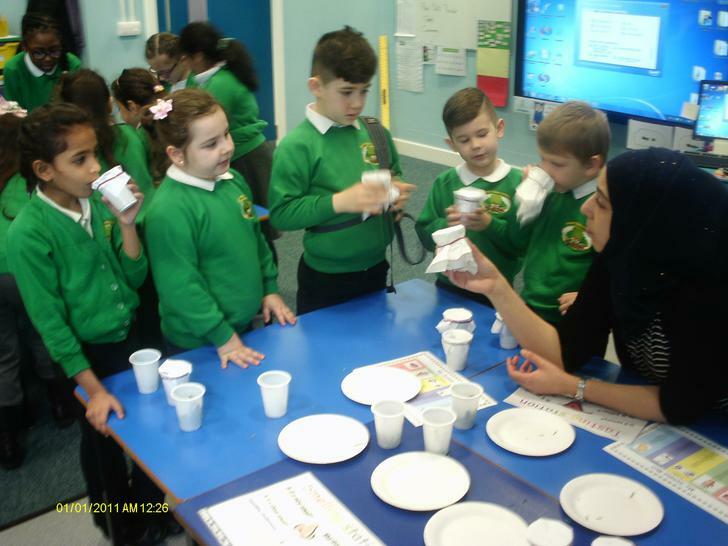 Year 4 tried to find out how the melting of ice is affected by the size, shape and temperature of the ice block. 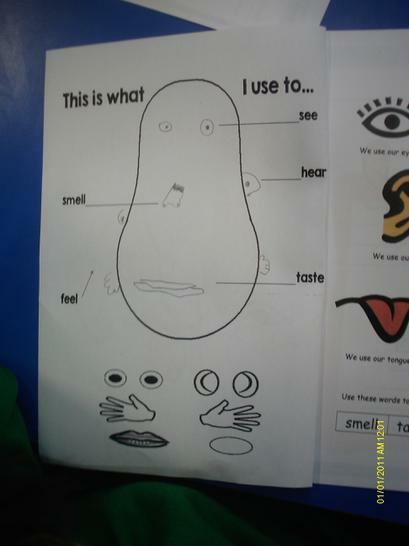 We made ice hands and then observed them. We wanted to find out what affected how quickly the hands melted. What if we changed the temperature? What if we changed the size? What if we changed the shape? 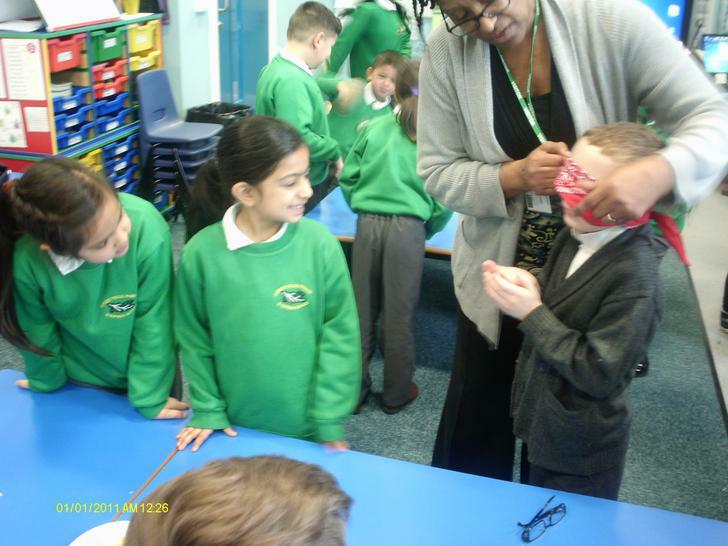 We carried out an experiment to find out. Year 6 investigated how animals evolve over time. 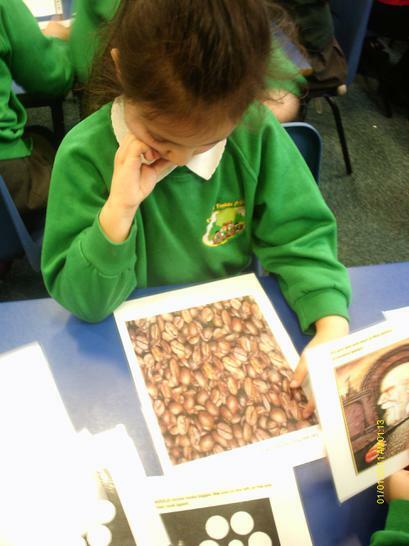 They had a day when they carried out investigations looking at why and how evolution takes place.